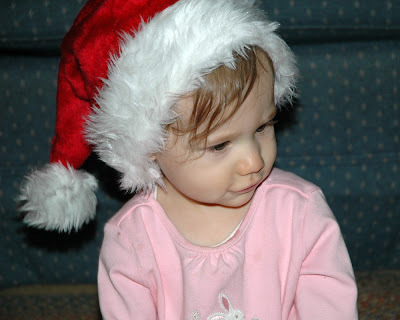 Last year Ava was a bit too young to really enjoy Christmas. However, this year has been a much different story. From spending time with her extended family to sucking down eggnog through a straw, Ava has absolutely loved the Christmas season. Although her favorite part of Christmas has probably been opening the presents (more so than even the presents themselves). Her second most favorite part of Christmas has been playing with the wrapping paper and packaging in which the presents came. Ava got to have Christmas twice this year. The first time was with Krista's family (before we left to visit Larry's family in Pennsylvania). 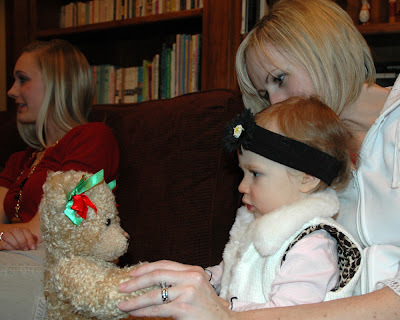 One of Ava's favorite gifts was Ava Bear, a stuffed bear made at the Build-A-Bear Workshop that she received from her Aunt Maddie. 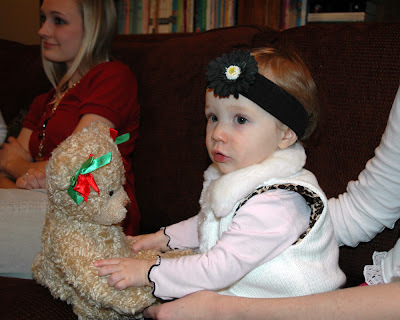 While in Pennsylvania, Ava received another new friend on Christmas morning in the form of a Cabbage Patch Kid. Ava likes the hair on her new doll, but hasn't quite mastered feeding her the bottle yet. You can see, however, that she is concentrating very hard on it. 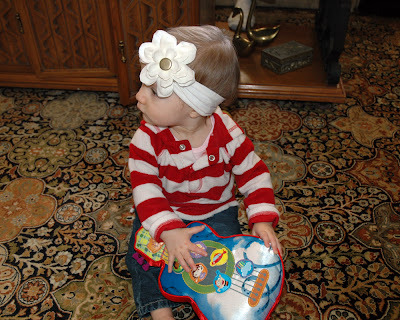 Ava also received a Little Einsteins guitar which she really enjoys playing with. At the time, however, she was too distracted by the other presents under the tree to give the guitar much attention. 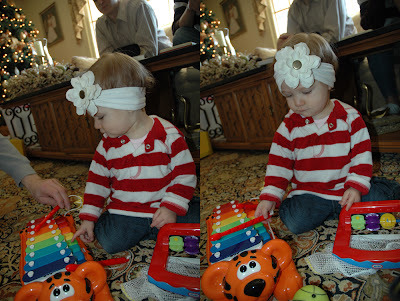 Another of Ava's favorite gifts has been her new xylophone. She quickly figured out to play it both using the keys and the mallets. Looks like Santa has a new fan. What a picture perfect Christmas. 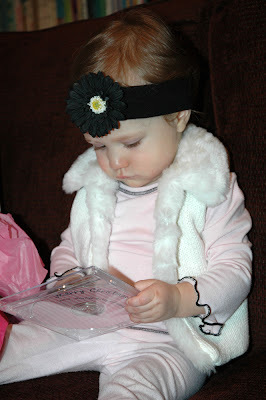 Ava must have been very good this year! I'm glad she changed her mind...Santa will only get better to her I'm sure!! Looks like she had fun with presents too!! I'm excited to see you guys when you get back!!! 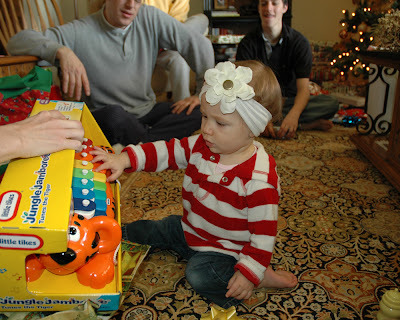 That's right xylophone is Ava fav. i knew it!!!! ha ha.. jk...it was Fun hanging out with Ava!!! hope to see u guys again.. I Do Believe in Fairies... I Do, I Do, I Do!